Horsepower: Originally, a measure of the power that a horse exerts in pulling. Now, Horsepower is the rate at which work is accomplished when a weight of 33,000 pound is moved on foot in one minute or 550 pounds is moved one foot in one second! 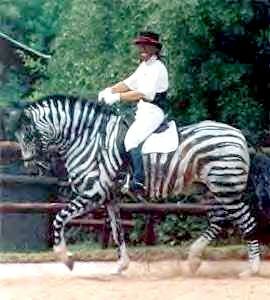 YES, ths is a REAL Zebra!